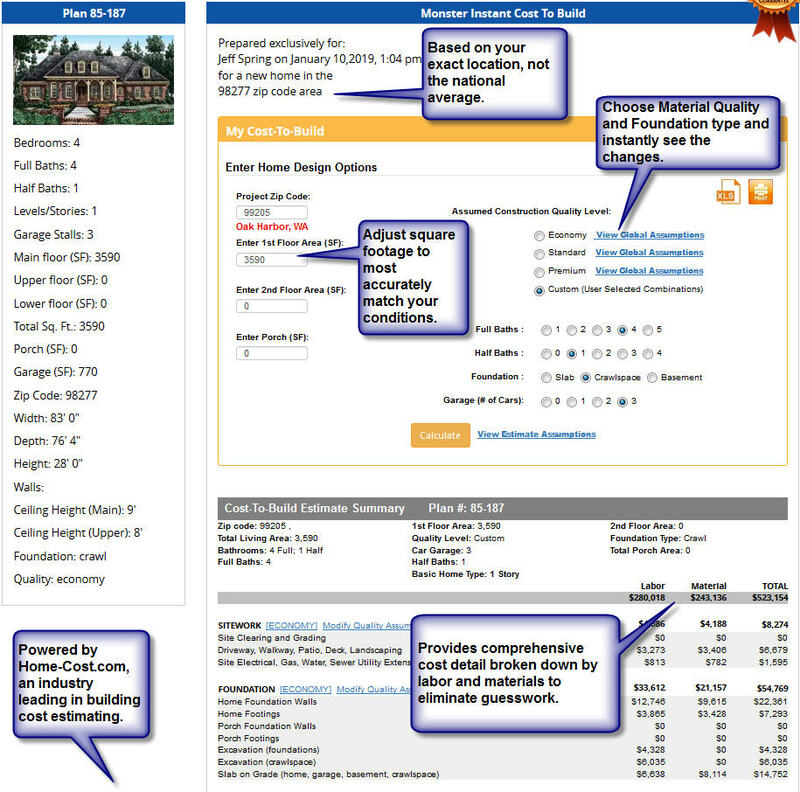 Get an accurate Cost to Build report in less than 5 minutes for any of our house plans in the zip code you specify. 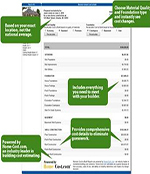 Our cost-to-build reports are widely recognized as the most accurate in the industry. It only takes a few clicks and your report is created. You will be able to interactively select economy, standard or premium material quality after your report is generated. Our special, limited-time price of only $19.95 is by far the lowest in the industry for a report such as this. Below is a sample of the cost-to-build you'll get and instructions about how to order yours. What makes Monster Cost-to-Build better than other cost estimating services? Do I need complete blueprints to develop an estimate? Does Monster Cost-to-Build include appliances needed for the project? Are take-off lists of material and labor broken down in the cost report?